Enjoy guaranteed compatibility with QuickBooks and great value with our all-inclusive, IRS-approved, QuickBooks W2 Forms. Use for reporting employee wages and salaries to federal, state and local agencies; each kit includes a copy for your employee. 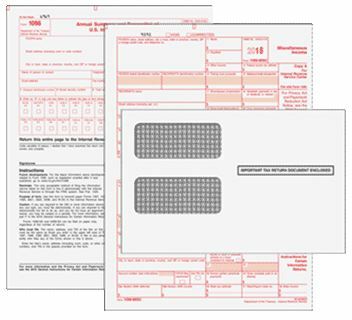 Easily print W2 information directly from your QuickBooks onto the correct blank section of each tax form with our 2018 Pre-Printed QuickBooks W2 Forms. Specifically designed for small businesses. Available in quantities as low as 10 so you don’t buy forms you don’t need. Pre-Printed QuickBooks W2 Forms are compatible with QuickBooks Desktop and QuickBooks Desktop Pro customers who are using QuickBooks Desktop Basic or Enhanced Payroll. Printable from laser or inkjet printers. Not compatible with QuickBooks Online, QuickBooks Online Payroll, QuickBooks Desktop Assisted Payroll and QuickBooks for Mac.